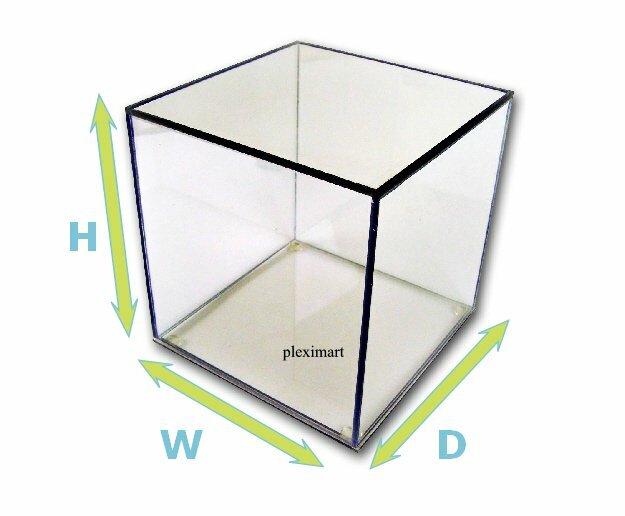 Clear Plastic Display Box With Base 1/4" Thick - 8"x8"x8"
Clear countertop display Plexiglass Box , with a clear base. This Clear countertop display plexiglass box 8"x8"x 8" - 1/4" thick is excellent for displaying purposes, as you often see it in stores displaying products like jewelry or phones. This can also be used for the household by using it to display decorative figurines in your living room while protecting it dust as well. Copyright (c) 2009 PLEXI MART - Custom Acrylic Fabricator - Sheet Sale - Cut to Size - Acrylic - Plexiglass- Polycarbonate.